Published 6/9/2017 . Last updated 4/25/2019 . Have you heard of the old photographer’s trick of using mashed potatoes instead of ice cream in food photos (that way the “ice cream” never melts)? Well, in this case, it’s not a trick! My ice cream is actually made with mashed Idaho potatoes! The ice cream is vegan (assuming your mashed potatoes have no butter in them) and it’s flavored with blackberries and coconut milk. The mashed potato ice cream, much like the mashed potato stand-in mentioned above, is super slow to melt, making it great for picnics. But, unlike plain mashed potatoes, this stuff tastes like tart blackberries and summery coconut and it feels just like ice cream in your mouth! 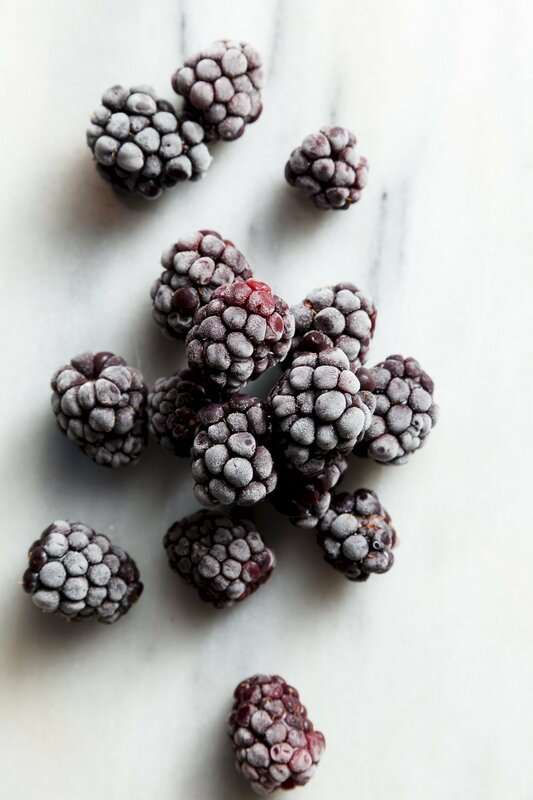 For fun, we’ve also been blending the leftover blackberry coconut ice cream with almond milk and making fabulous thick shakes with it. Seriously, you would never know there were mashed potatoes inside! Try this recipe for yourself and let me know what you think! The mashed potato ice cream is super slow to melt, making it great for picnics. Blackberries and coconut make it taste just like ice cream. Cool until the potato is comfortable to touch. Peel off the skin. Place peeled potato, blackberries, coconut milk, sugar, and vodka in a blender and blend until smooth. Press blended mixture through a sieve to strain out blackberry seeds. Note: This recipe was original developed for the Idaho Potato Commission.